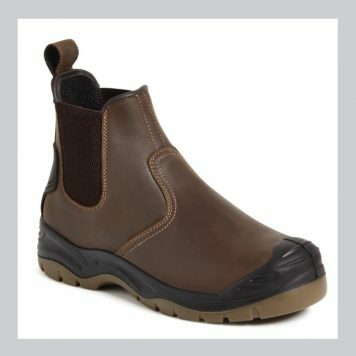 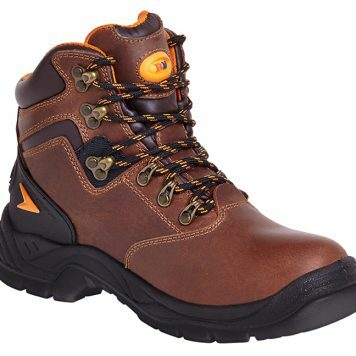 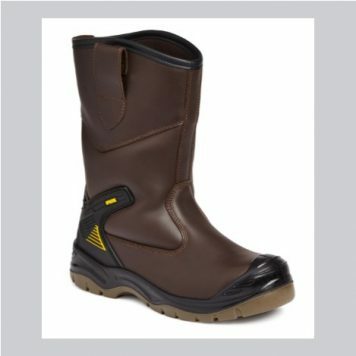 A very comfortable, lightweight water resistant safety boot designed for a wide range of working applications. 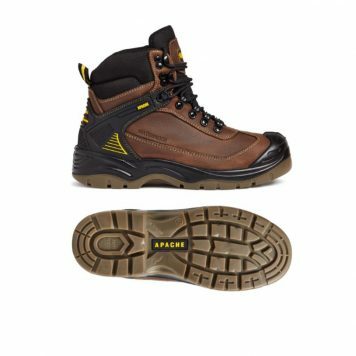 Features elasticated sides for easier foot entry, aluminium toe protection offering 200 Joule impact protection and composite penetration resistant midsole. Double density shock absorption heel, lightweight and flexible phylite/rubber outsole technology. 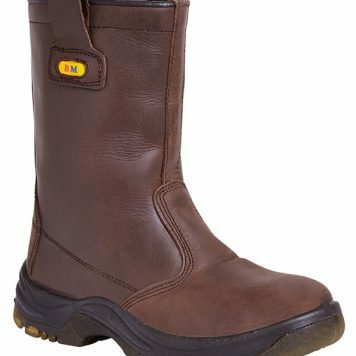 Anti-static, oil, petrol & chemical resistant, made with the highest quality materials and constructed to the highest standard. Apache Industrial Workwear offering the latest range of safety footwear with contemporary design and style.